When you purchase a new vehicle from Carriage Kia of Woodstock or any other Carriage Location & are a customer in our service department you are eligible for the “Loaners 4 Life Program”, how great is that? We will provide you a great loaner vehicle from Carriage Kia of Woodstock to drive while your vehicle is being serviced. Keep on track with running your errands, appointments, shopping, picking up kids, you name it. 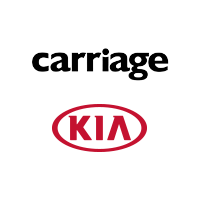 To remain eligible for our Loaners 4 Life Program you must have purchased your vehicle new from Carriage Kia of Woodstock and continued to maintain your vehicle with Carriage Kia of Woodstock per the manufacturer scheduled maintenance recommendations. Disclaimer: Not transferable to any future owner. Loaners 4 Life Program benefits are not transferable and only apply for as long as the original Carriage Kia of Woodstock purchaser owns the covered vehicles. Loaners 4 Life Program is only available to vehicles purchased as new from Carriage Kia of Woodstock. Loaners 4 Life Program does not apply to routine service visits that require less than 4 hours to complete. Driver must be 21 years of age, have a valid driver’s license & valid insurance including collision coverage. Proof of documents must be provided prior to taking the loaner vehicle.